In this book David Wedd recounts his experiences and observations made during his tenure as a leftenant seconded to the Gold Coast Regiment in 1956. The following spring the British colony of the Gold Coast became Ghana, the first of many former colonies to become independent states. Thanks to notes and journals he kept during the period his book discusses the regimental life of African soldiers and the unique aspects of life in the tropics. Wedd's observation of the transfer of power to Kwame Nkrumah (who would later start another tradition, that of first-elected leaders deciding they need to remain as dictator) is confined to the enthusiastic celebrations and ceremonies related to independence. 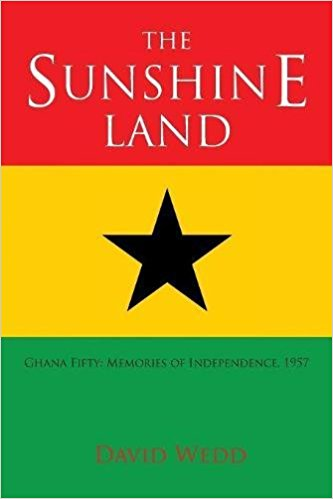 Later in the book, when he discusses post-coup trips to Accra, does he look at the problems related to Nkrumah's presidency. What I found most fascinating was the trip David Wedd and James Ankumah (another officer of the regiment) took to Timbuktu. While a fascinating adventure, dealing with new people, French bureaucracy and the difficulties of African motor transport it was a trip that possible in the 1950s that could not be done today. It also says something about the kind of things lieutenants can get away with that field grade officers cannot. Includes lots of photos by the author.